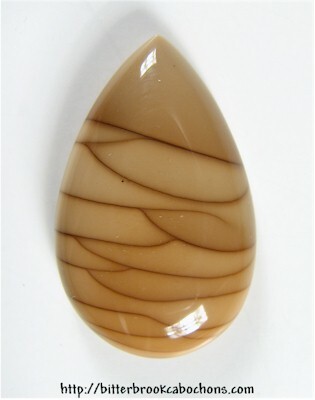 Sweet Bruneau Jasper teardrop! Soothing sand dune patterns throughout, with a great polish. Great shape & size for a small pendant. 30mm x 19mm x 7mm. Weight: 29.30 carats.